While meeting with the Ministry of Education and Culture this past month, we noticed that there was a growing desire to integrate more technology into their daily processes. The Ministry informed us that they have instated eMonitoring throughout the educational system. This can be accessed and moderated by every single school across the country. Mr. Ari Santoso, Head of IT for the Ministry of Education and Culture,was eager to speak to us about how Indonesia is utilising innovative educational tools throughout their primary and secondary school systems. Mr. Santoso noted that the current ICT infrastructure for Indonesian primary and secondary classrooms is quite advanced. It consists of multiple multimedia, video, and communications tools. The Ministry has recently introduced a ‘Smart School’ initiative for the Indonesian educational system. This initiative capitalises on efforts to modernise the traditional educational pedagogy, with the use of ICT. In this day and age, connecting to the web can seem essential for learning. Out of the 208,000 schools in Indonesia, about 155,000 have internet connectivity. In urban cities, schools facilitate unlimited broadband connectivity. Now, the challenge is to match this connectivity in rural areas of Indonesia. To expand the efforts of the ‘Smart School’ initiative, the Ministry must look to broaden connectivity these schools on the periphery. The educational system has created an online content platform, called the Virtual Lab. It holds 60,000 items ranging from PDFs, images, multimedia, and more. This is made available to educators and students. It is part of the Smart School initiative. Across the Ministry of Education, they have 3 data centres located in Pustekkom, Surabaya, and Jakarta. “Our system is the first in the world initiated by government. This open content system aims to be highly utilized. Every school, every student, every teacher, everybody in our country can use this system. 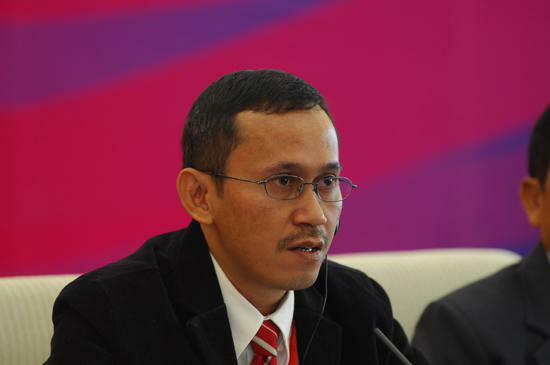 It is free,” Mr. Ari Santoso exclaimed. Indonesia’s Ministry of Education has great plans for the future when it comes to integrating IT. Reaching out to rural areas will be a key focus for the Ministry as the country is very large. Schools in rural areas, with less connectivity, will be targeted in the Smart School Initiative.